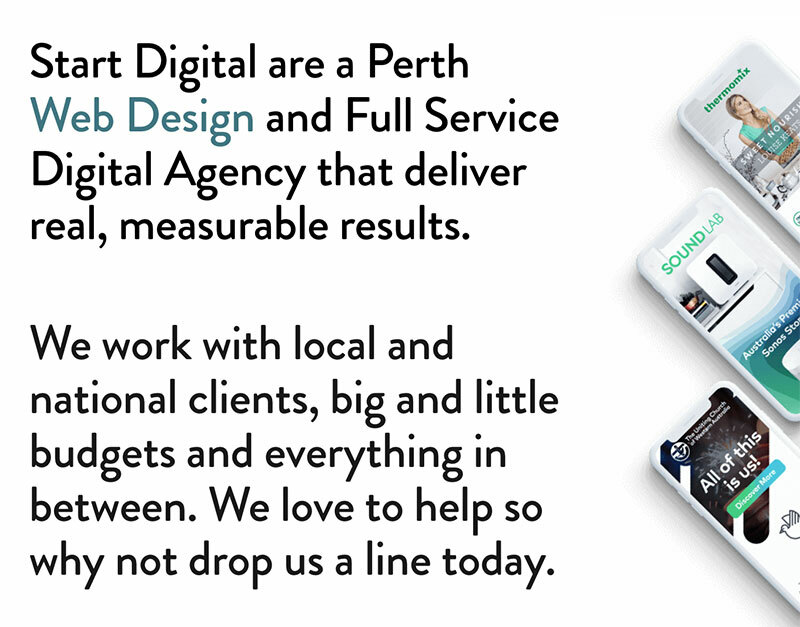 Based in Perth Australia, Start Digital is a digital agency specialising in web development & SEO for businesses big and small. 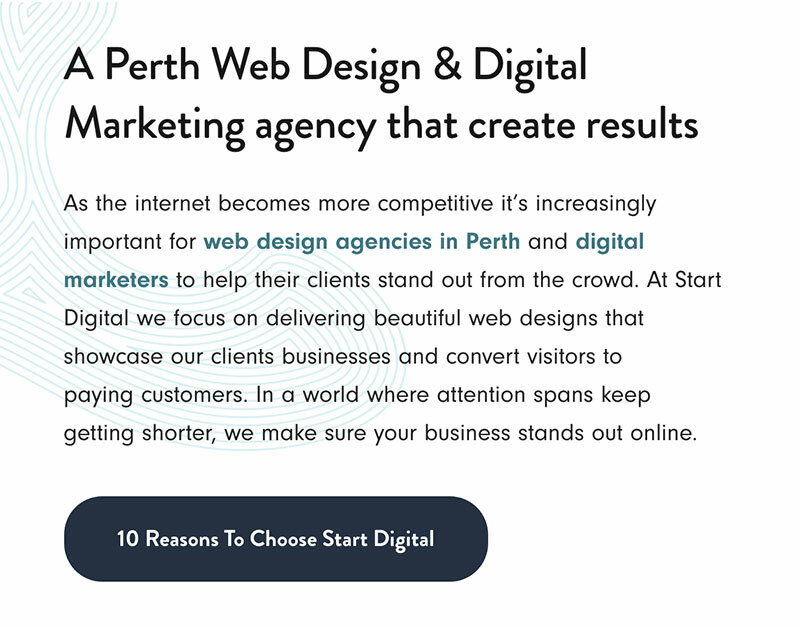 To help Start Digital dominate in their local and national search rankings, we embarked on a content marketing campaign that centred around the creation of quality content that targeted competitive search terms while being helpful to their audience and prospects. While a primary focus on conversion, we crafted persuasive sales copy that focused on distinguishing Start Digital from the rest of their competition by bringing out their brand personality while driving home on their specialities. Securing the top 3 position on Google’s page 1 for highly trafficked terms while increasing conversions by 33%.